My son and daughter and lots of other young American men and women these days are all about the World Cup, like apparently the whole rest of the world. I blame myself and millions of other US former soccer dads and moms for this sad state of affairs. 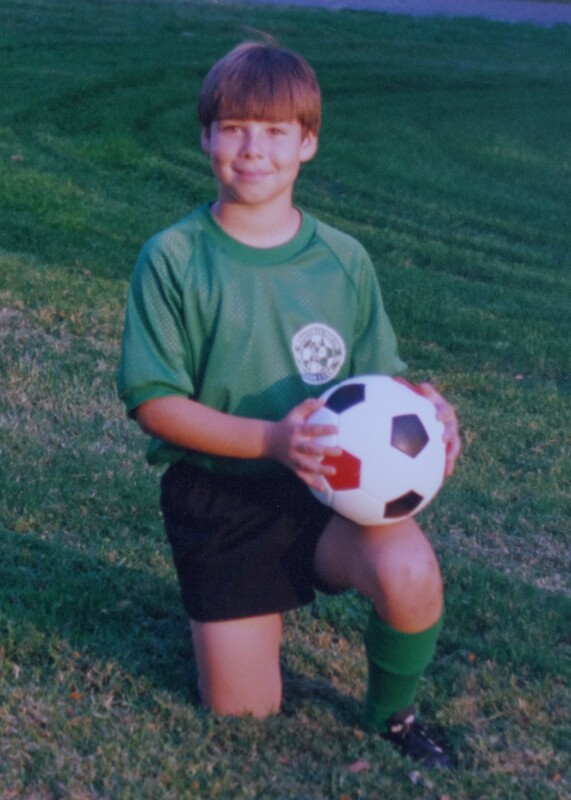 The sports you played as a kid are the ones you follow for life so I share the blame. For you trogs, here’s how soccer (‘football’ outside the USA) is played. Now I have neither time nor, lets face it, the stomach, to do any research, but here’s what I remember from my kid’s games. The field is 300mx150m (1,526’x626′) or so in size and there are 23 players on each side, more or less (similar to 43-Man Squamish). A ‘match’ lasts about three or four hours by my admittedly cheap watch, but it seems much longer. The goal is to get a large ball into a small net without touching the ball with the hands or arms. Yes, the physical attributes that most distinguish human beings from other animals, hands with opposable thumbs, are outlawed. One designated player guards the net and IS allowed to use his hands. Since kicking the ball or butting the ball is both difficult and silly, no goal (pronounced ‘goooooool’) is ever scored in regulation. There are, it seems, two or three overtimes lasting for hours. Then, when you think you can finally leave, they tack on added time! Never any exciting countdowns, as in US football. No, in ‘football’ the game’s over when the ref decides. All games that do not end in a tie are decided by the teams lining up outside the net and taking turns kicking attempted goooooools, usually fruitlessly. So ‘football’ is basically just running and kicking and butting of balls for hours on end to no result. That constant running and kicking must be tiring. Watching it certainly tires and bores me to tears. This drearyness is interrupted by fake injury flops like Vlade Divac. The ‘injured’ player writhes on the field as though hit by a flying bottle from the stands (not unknown in ‘football’) but he always hops up unharmed. The ref then hands the offending player or players a tarot card, assuming the player has not actually bitten off an opponent’s body part, which earns a short suspension. In the World Cup tournament, advancement is based both on winning and on running up the score. But as gooools are impossible to score in ‘football’ this has not turned out to be a problem. ‘Football’ is the most racist of sports, with some fans throwing bananas on the field while chanting like monkeys to taunt black-skinned players. It made me almost proud to be an American, for a second. And while you might not want to wear a Reds jersey to a Phillies game in Philly, ‘football hooligans’ routinely riot and stampede, crushing thousands. Police protection is often needed for the refs. More corrupt than horse racing, ‘football’ is owned by FIFA, a racket worse than Comcast, that controls, exploits and monetizes it for its own profit, dictating to craven fans and governments alike while lining its own pockets. FIFA forced Brazil to build a huge, expensive stadium in the jungle, never to be used again after the 2014 Copro Mundial! And Brazil just ate it up-until they flopped. We can only hope this ‘sport’ continues to pass us by. The fever might abate since the USA just lost but I fear the worst. Local teams here are very popular and routinely sell out. I’d like to blame the 2014 World Cup for the ‘football’ fever sweeping the USA but I really have only myself to blame. I am so sorry. Image and title courtesy Mad Magazine.